Syrian Transport Minister Ali Hammoud said linking Syria, Iraq and Iran with railways is a priority for his ministry and its strategic vision to develop relations. The Syrian minister said during a meeting with the head of the Syrian-Iraqi company, who is visiting Syria these days, that "the linking process will take place across the border Shalmgeh, pointing to the need to establish 32 kilometers of railways in the Iraqi territory to connect the Basra railway line associated with Baghdad, Karbala, Iraq". He said the linking process would enable Iraqis to travel to various parts of Iran as well as transit to Syria and exchange of goods. 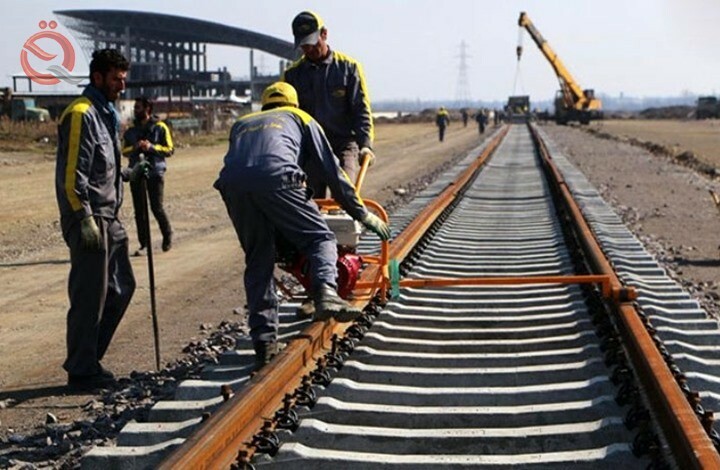 Hamoud added that the planned rail network is linked to Central Asian networks, which are linked to the China and Russia railways, noting that the linking process will also enable Iraq to transfer its citizens and goods to Russia and China via Iran, including Syria. He pointed out that this railway network will be part of the Silk Road system, which Damascus seeks to pass through Syrian territory. Hamoud said the railways would enable visitors to the holy shrines in Iraq and Syria to travel by rail, and then connect the Syrian rail to the port of Latakia.